Handignur is the village in Belagavi taluka situated 15 kms from Belagavi city on the Karnataka Maharashtra boundary having population of 4000. The district authority and the elected representatives have always kept promising that not a single village will face dearth of drinking water. 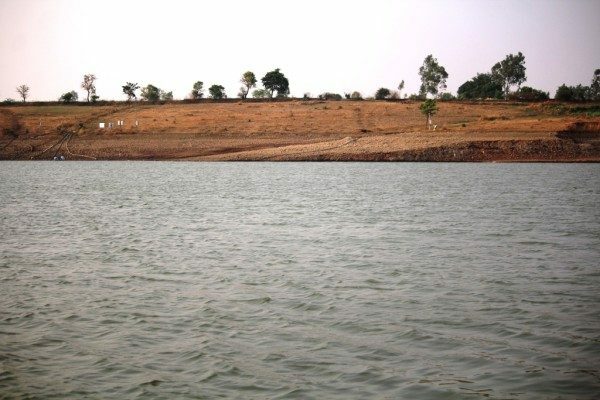 The villagers is that there are two small water reservoirs in Kitwad village of Chandgad taluk, Maharashtra state situated just 2.5 kms from Handignur. When Handignur villagers had approached Tahshildar of Chandgad Taluk for water, he had agreed to release water from reservoir No. 2 on condition to pay the nominal water tax. However a pipeline from reservoir to village and electric connection was required to pump the water for villagers. But Gram Panchayat members alleged that District authority, Local MLA who was also District Minster and Zilla Panchayat Member who is also ZP Vice President Arun Katamble didn’t responded to their repeated requests to visit the village and release funds to take the pipeline works from past one year. This year villagers decided to not plead anymore to these elected representatives. They prepared an action plan to start laying pipeline. Villagers raised Rs 10 Lakh amount and laid the pipeline for 2.5 km distance for which all villagers worked together. Bhairu Patil, Gram Panchayat Member said district authority had prepared an action plan of Rs 21 Lakh to lay this pipeline but had not released funds. When it was challenging to meet drinking water problem in village, we have raised Rs 10 Lakh funds from villagers and taken up this work and have also laid one bore well. The Zilla Panchayat Vice President who didn’t responded to our plea earlier, was later interested to inaugurate the work, but we have not allowed him in our village he said.